"Choose the path of Love." It is our pleasure to support you in continuing your journey of self-knowledge, healing and personal growth! Choose to study any combination of the 3 branches the yogic science and system of Shakti Naam, the Harmonyum Healing System and Divine Spiritual Wisdom -- all paths will lead you to greater self - awareness, greater health and joy in life, and self mastery. 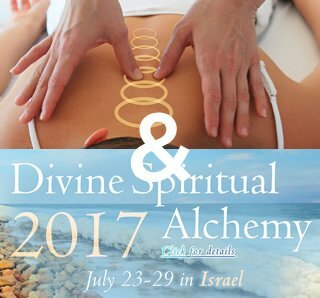 This combination includes enrollment in the first Harmonyum II healing workshop (May 25th to 28th) and the magical 7-day retreat to Israel with Dr. Levry (July 23rd to 30th). 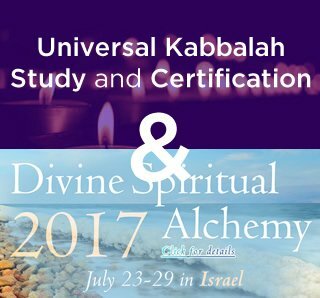 Combine the convenience of the only Universal Kabbalah online certification program and the magical 7-day retreat to Israel with Dr. Levry (July 23rd to 30th). 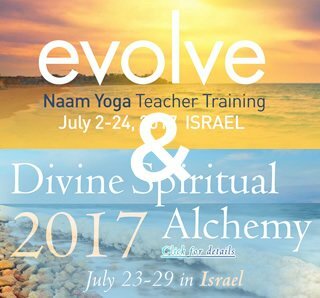 This package allows you to receive your Level I Naam Yoga and Shakti Naam certification (200 hr RYT recognized by Yoga Alliance) by attending one weekend per month (March 10th to October 15th) and attend the magical 7-day retreat to Israel with Dr. Levry (July 23rd to 30th). 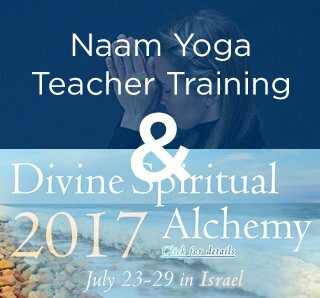 This package allows you to receive your Level I Naam Yoga and Shakti Naam certification (200 hr RYT recognized by Yoga Alliance) by attending a 3-week intensive training in Israel (July 2nd to 23rd) leading up to your attendance at the magical 7-day retreat to Israel with Dr. Levry (July 23rd to 30th). Students will be signing up for the most advanced Universal Kabbalah publically available. 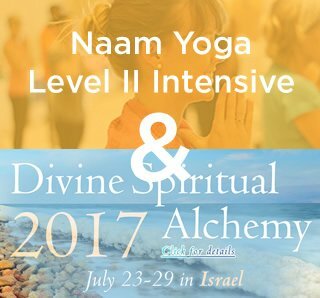 The Naam Yoga Level II Intensive is a 7-day intensive program held in an exclusive retreat in the California (March 3rd to 10th) plus attendance at the magical 7-day retreat to Israel with Dr. Levry (July 23rd to 30th). Students must have attended a Naam Yoga Level I or any Harmonyum Program to attend. Take advantage of these incredible offers! (323) 638-9349, email us at training@naamyoga.com or connect with a team member at the Sunday Masterclass! This special pricing is available now and through Sunday February 12!